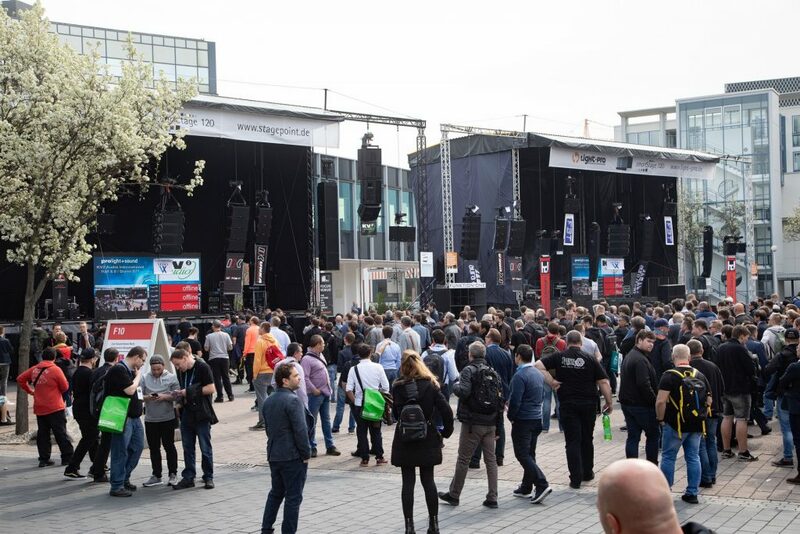 Earlier this month, our team flew out to Frankfurt to attend Prolight + Sound: the international trade fair of technologies and services for entertainment, integrated systems and creation. As a company, it gives us the opportunity to see the latest technology as well as catch up with old friends and make new contacts. 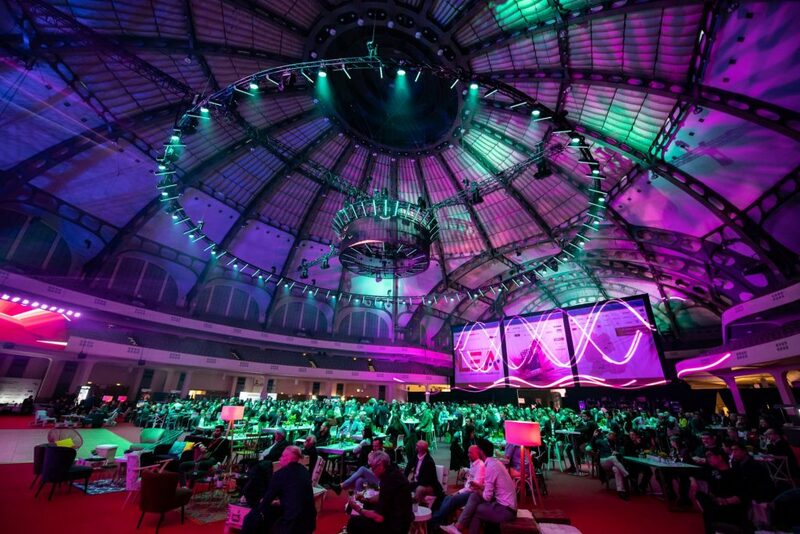 For those of you who were unable to attend, our Technical Director Dave Isherwood has written a blog about some of the products he came across and what he took away from his three days in Germany. Ayrton – Ayrton had all of their newly-released products on show including the smaller Diablo and Levante units. They were also demonstrating a prototype/concept profile called Huracan, which includes a novel 6-wheel colour system (C/M/Y/CTO/CTB/CTP) that allows for the mixing of very subtle pastel shades. Chauvet – Chauvet highlighted their new MK3 hard edged units – a step up from the MK2 featuring a brighter, quieter framing LED profile and effect spot pair with an 820W white LED engine. Clay Paky – There was a lot of interest around the Xtylos, a new beamlight with a laser lightsource – perhaps unsurprising given Osram’s investment in the technology for automotive lighting. Another interesting introduction was a product called CloudIO, which allows for remote connection and support for installed CP fixtures based on IoT technology. ETC – We were really interested to witness the demo of the forthcoming AR technology within the Eos platform. The remote focus and pre-programming/visualisation offerings in the product look very impressive, especially the use of a smart phone as a focus “wand” – talk about technical wizardry! GLP – GLP were celebrating their 25th anniversary and did so by launching the Highlander large format discharge fixture; accompanied by a bagpiper and whisky naming ceremony! They also launched the FR10 Bar which is a larger format LED batten featuring an individual zoom optic per light source. High End – High End launched their new TurboRay, an RGBW LED source wash/beam with colour and gobo effects plus an array of radial diffusers on the front providing an interesting, if somewhat familiar, look to the TurboRay’s face. JB Lighting – JB were showing the new P18 LED Profile and Wash range – another white LED source fixture aimed at the +1000W discharge segment. Martin Professional – Martin had their recent ELP LED profiles on display, as well as the Allure range (now two fixtures), and the VDO Atomic Dot; a mini cold or warm LED dot with an aura effect that can be used singly or in combination as a blinder, strobe, pixel or beamlight – a clever and creative “lighting lego” product. ROBE – Another company celebrating a 25th anniversary, ROBE featured a large selection of new products including the Silver Scan LED source moving mirror designed for cruise ships and smaller venues where hanging space is tight – back to the future… Also on display were the T1 Profile and the new T1 Wash with PC or Fresnel option, the T1 followspot fixture, an IP65 MegaPointe called iPointe, and the SuperSpikie; a bigger, brighter version of the original Spikie. Continuing the show’s IP65 fixture theme (an idea gaining traction with an increasing number of manufacturers), a linear RGBW LED range called Eminere was on display, available in multiples of 300mm up to 1.2m. Finally there was a long throw 6° RGBW unit called Divine 72 from the Anolis stable. Robert Juliat – Robert Juliat showcased a further developed version of SpotMe called Maestro, which incorporates technology from Zactrack and allows operation with any DMX console. Their range also included the new 4-colour LED footlight Dalis 864, the Charles 960SX LED spot range and a neat USB powered remote fader set for their newer followspots. SGM – SGM launched the production version of their G7 Spot, a mid-size IP66 moving head with white LED source and CMY+CTO/CTB colour mix. They also displayed the new G7 Beam, a large front aperture beam/effect light with white source and colour mix, as well as launched the VPL (Video Pixel Linear LED) series, a neatly-designed 19mm pitch product in 305/610/1220mm lengths, with combined power and data. Vari*Lite – Another stand celebrating an anniversary, with it being a slightly unbelievable 25 years since the V*L5 won an Emmy award (which was proudly on display). 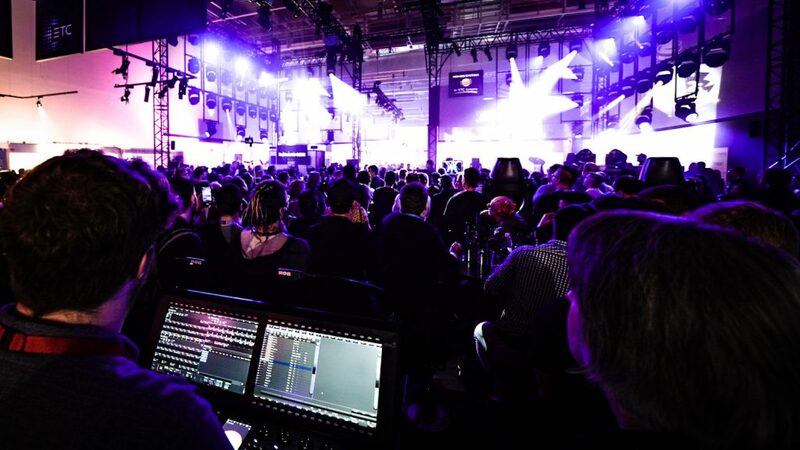 Some slightly newer technology was on show as well including the VL2600 range, VL6000 Beam, VL800 Beamline, and the new VL10BeamWash – a hybrid 550W discharge fixture with a large front lens and punchy effects offering. Also on display was a concept/prototype VL6500 Washbeam, featuring radial diffusers on the front face of the VL6000 Beam. In conclusion, it was another jam-packed Prolight + Sound with a vast array of exciting new products launched or being demonstrated in prototype form. The exhibition highlighted the sheer volume of product that is now available to all segments of the market and the high quality of many LED fixtures now available. Whether all of this product will succeed in the market is another question… It was also great to catch up with several manufacturers to discuss future products and concepts that are still in development. We’re not allowed to say anything yet but watch this space!